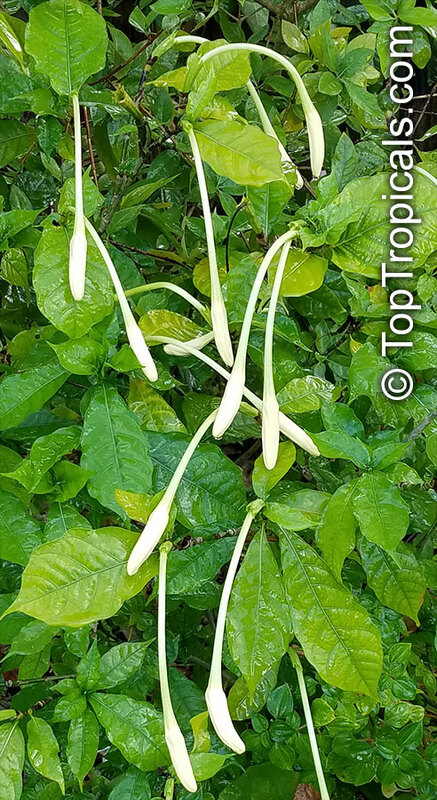 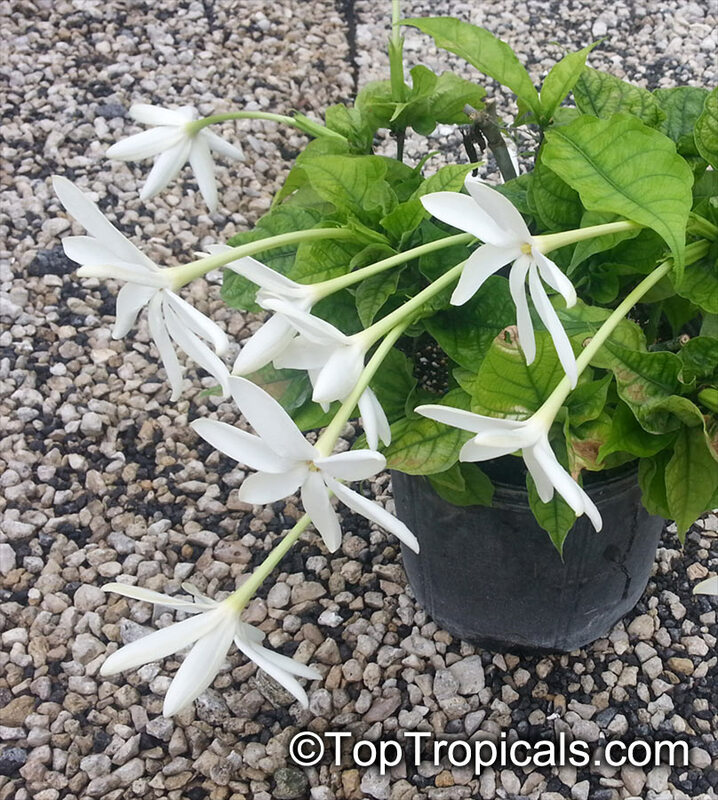 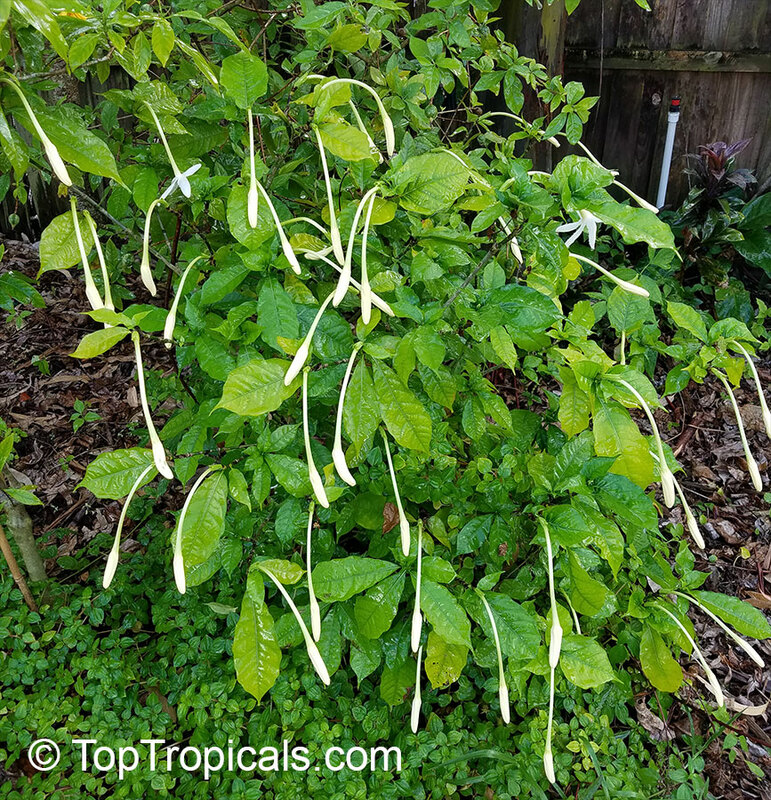 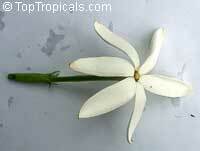 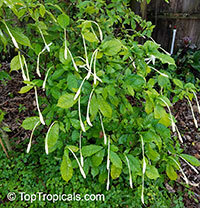 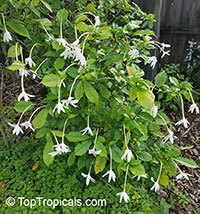 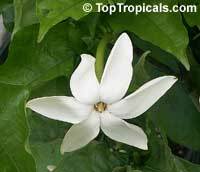 Rare gardenia with star-like tubular flowers. 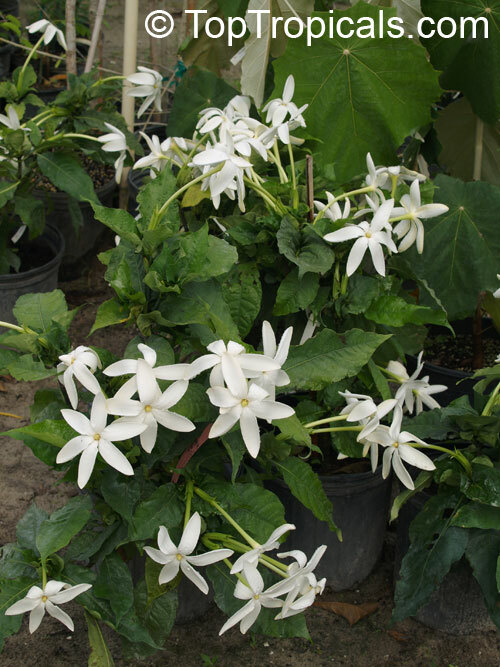 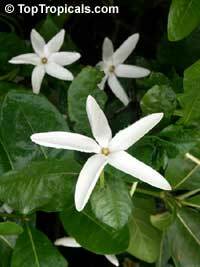 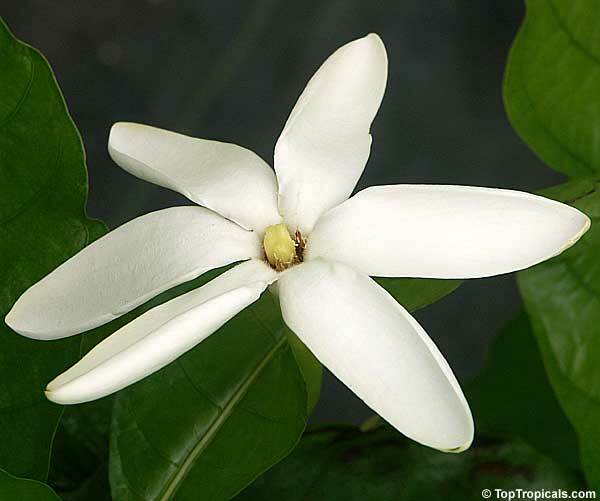 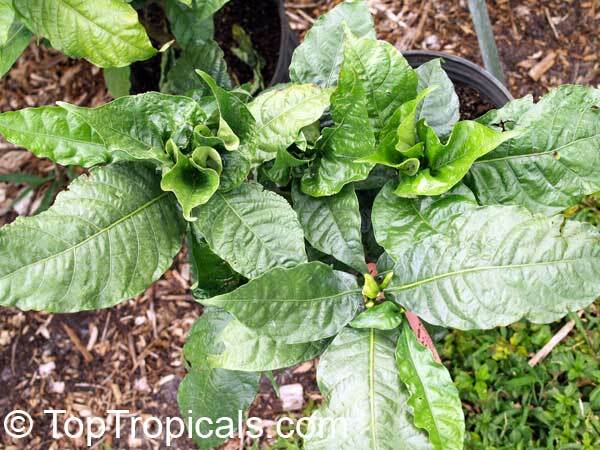 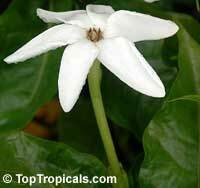 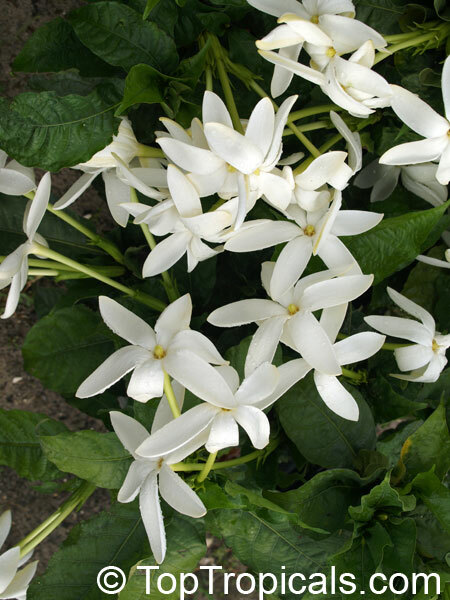 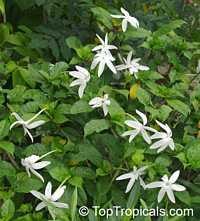 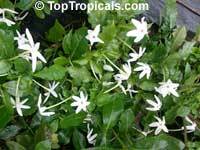 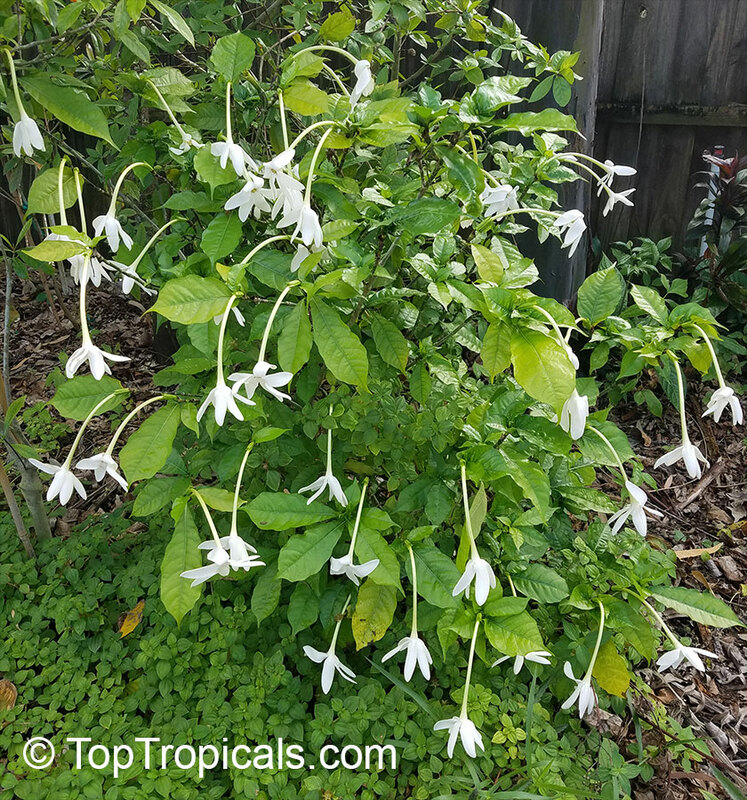 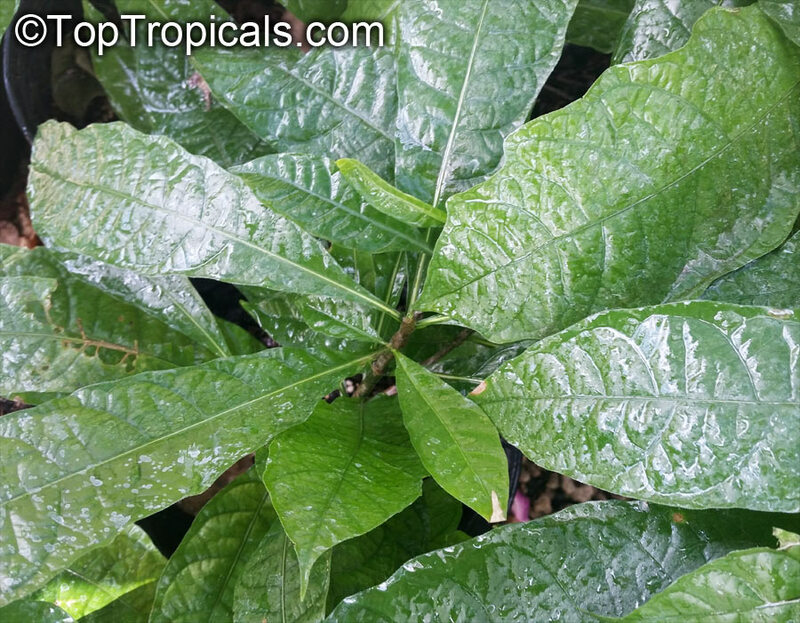 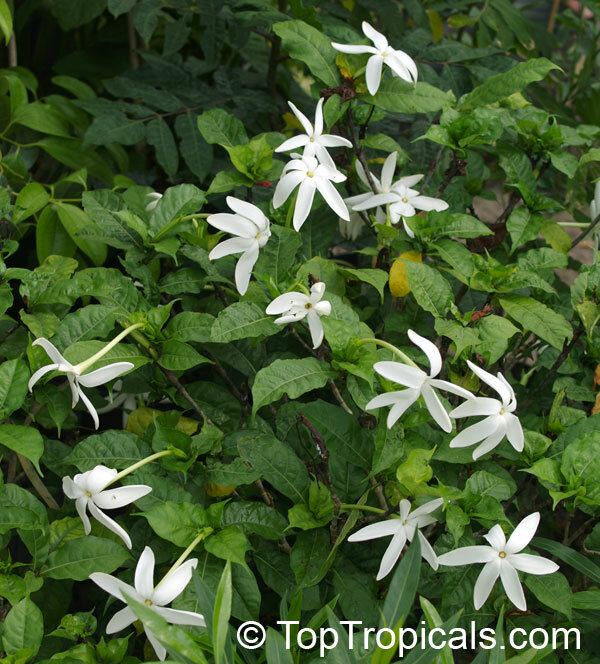 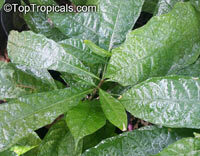 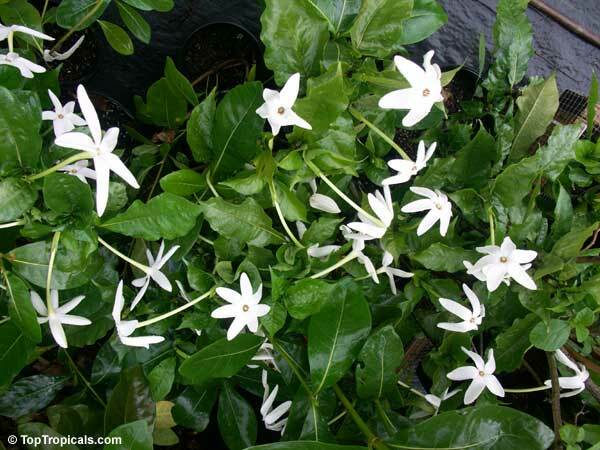 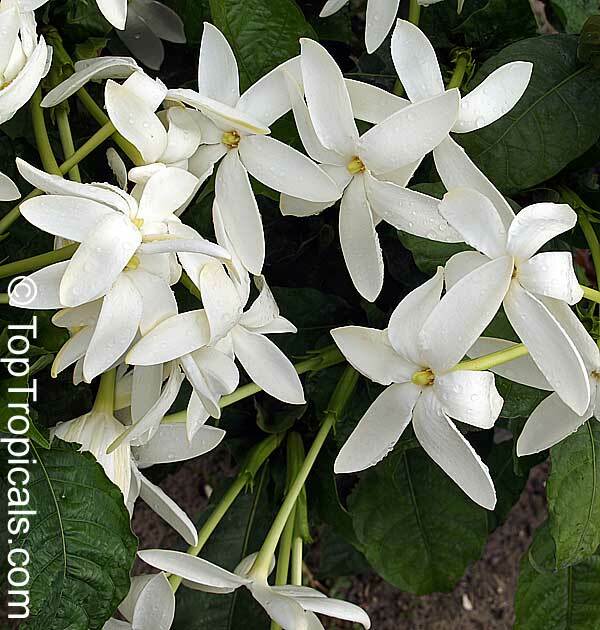 It is a slow growing, round shrub and has large leaves of unusual diamond shape and delicate to touch unlike most of gardenias with waxy leaves. 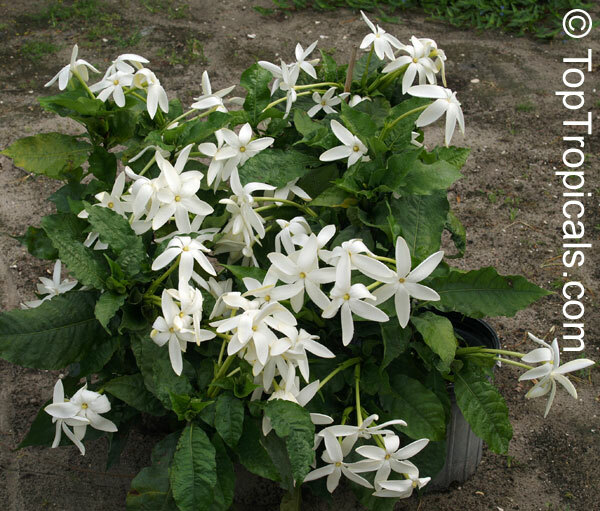 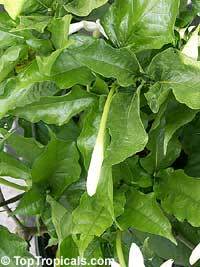 The plant blooms sporadically several times a year - year round. Fragrance is very strong and sweet. One day the whole plant is covered with blooms that stay a few days and then drop all together. 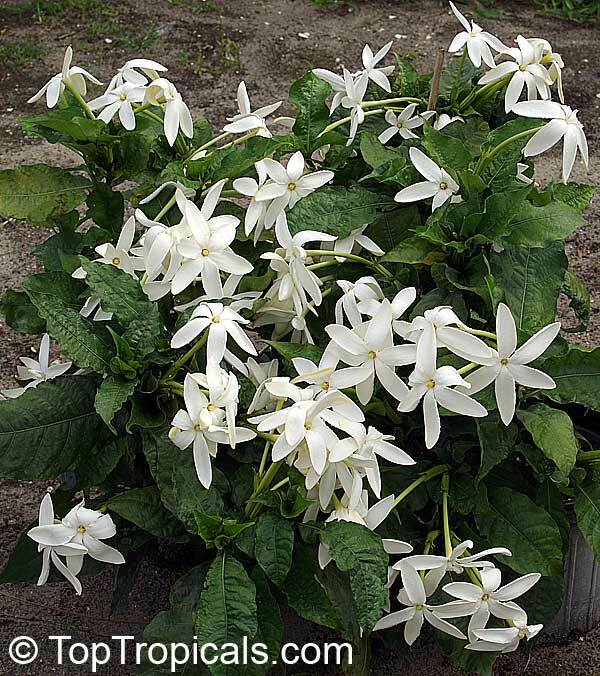 A must for rare plant collection. Read more about gardenias.